We found this in Alice’s room this evening. She’s quite the writer and has a room filled with little notebooks full of her musings. In light of the article in yesterday’s Observer, never have I felt more assured that we did the right thing…She’s wonderful. Apologies for the spelling corrections…. 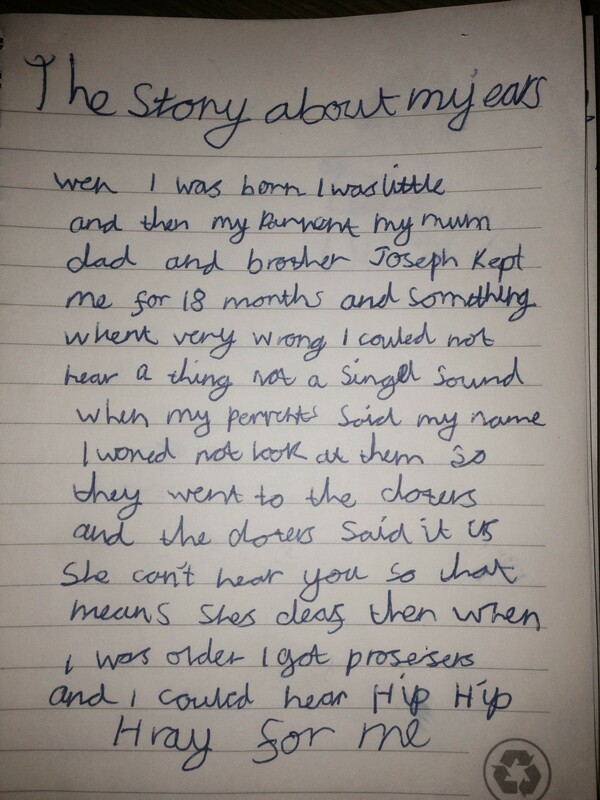 More tears for Mummy and Daddy….